Running a successful pharmaceutical business apparently isn’t a big selling point for New Jersey voters. The state voted today to re-elect Senator Bob Menendez, a Democrat, and cast aside his GOP challenger Bob Hugin, the former CEO of Celgene (NASDAQ: CELG), one of the world’s most valuable drug companies. As Election Day turned to Wednesday, with 98 percent of the state’s precincts reporting, Menendez had 53 percent of the vote to 44 percent for Hugin. Even though Menendez carried heavy baggage—corruption charges that ended in a mistrial last year, a rebuke from his fellow senators, and dwindling respect from his constituents—Hugin had baggage of his own that $36 million of his own money couldn’t overcome. He was running as a Republican in a blue state at a time when anti-Republican sentiment, thanks to the man at the top of the GOP, is running high. In addition, one of his main selling points was success in an industry that the public views so dimly that only the federal government rates below it. President Trump waited until Election Day to endorse Hugin, via Twitter, but with no mention of Hugin’s line of work. His chances leading up to Election Day were slim, according to poll data analysis from FiveThirtyEight. A native New Jerseyan, Hugin spent 17 years at Celgene as a top executive, including roles as CEO and executive chairman until he stepped aside in 2017 to run for office. Under Hugin’s watch, first as CFO, then COO, then in the corner office, Celgene turned an offshoot of a once-banned drug, thalidomide, into a blockbuster treatment for the blood cancer multiple myeloma. That success was a springboard to a major business expansion, which Celgene has often fueled through creative and aggressive deal-making. It now has seven marketed drugs and in 2017 reported $13 billion in revenues, more than double its 2013 figures, but some of its more recent billion-dollar deals have raised questions or hit major setbacks. Hugin was also the chair of PhRMA, one of the drug industry’s two top lobbying groups and a major donor to politicians (including Menendez) to influence drug-pricing policies. Hugin’s pharma background was often at play in the campaign. While his Twitter feed shied away from it leading up to Election Day, Hugin was happy during the campaign to tout his record at Celgene. 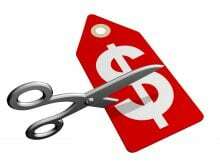 Menendez tried tapping into the public’s deep, long-running anti-pharma sentiment with ads that stretched the truth, but not this truth: Celgene raised the price of its multiple myeloma drug lenalidomide (Revlimid) three times in one year in 2017 and received special, if somewhat indirect, approbation from Health and Human Services secretary Alex Azar in a speech in May about high drug prices. Hugin was not CEO at that point, but he was executive chairman. And the company, like others in its field, has been accused of promoting its drugs for uses that aren’t authorized, with expensive consequences, and for trying to delay generic competition. 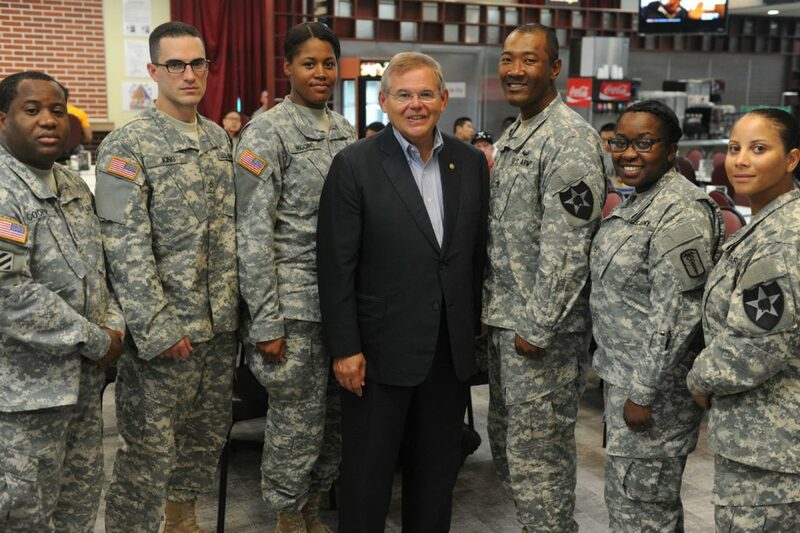 Photo of Sen. Menendez with U.S. soldiers in South Korea courtesy of UNC-CFC-USFK via a Creative Commons 2.0 license.